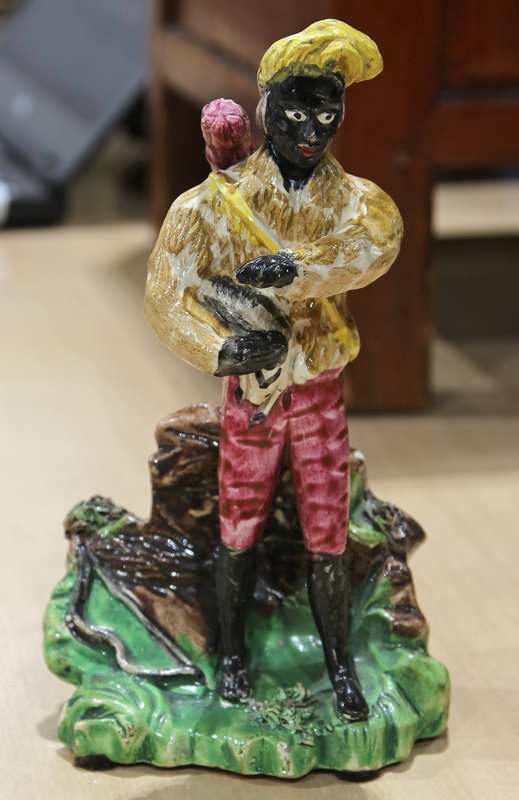 57.3 A pearlware figure portraying Robinson Crusoe's trustee companion, Man Friday, has come to light. This is the only known pearlware example of this figure. 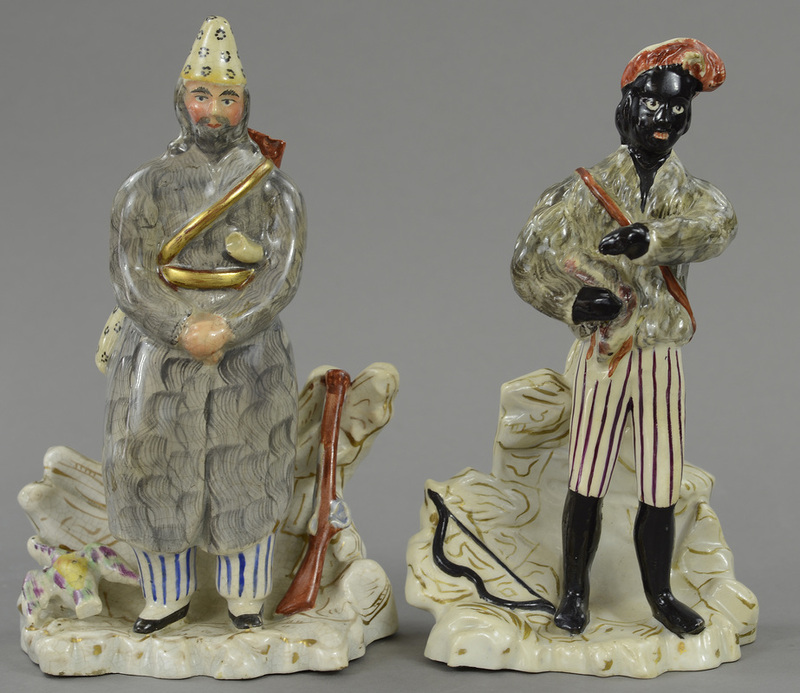 ​Figures of Crusoe and Man Friday were also made in a porcelaneous body, as shown alongside. Courtesy the William Herbert and Nancy Hunt Collection.